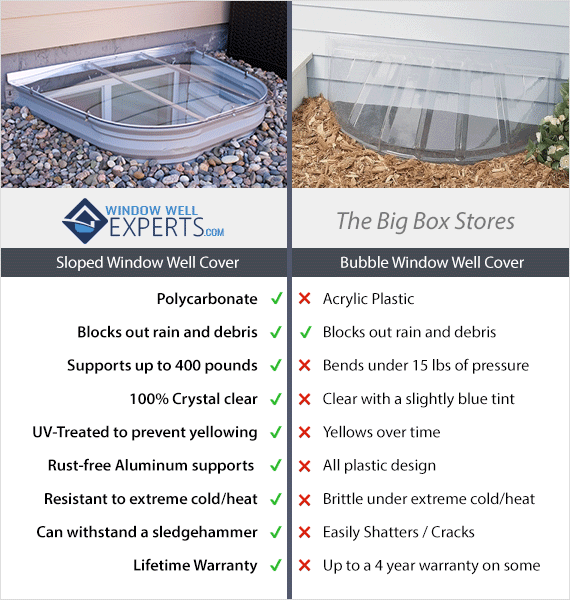 There’s a reason people choose the Window Well Experts products over the big box stores. In this article, I’ll go over the benefits of choosing higher quality products such as window wells and window well covers. Have a higher standard for your home and pick the best products out there! Add value to your house by purchasing the right window well products. Window Well Experts are all about safety. These products are made with you and your family in mind. There window wells come in all types of shapes and sizes making sure it fits your window well measurements exactly. The big box stores don’t have many options. They only come in a couple sizes making it hard to fit your window well properly. The way of egress out of your basement is extremely important. Make sure you get a window well that is strong and durable for the protection of your family. The Window Well Experts window well covers are second to none. Let’s go over how beautifully designed the window well cover are. Here are just some key points that stand out to our customers. The little details matter. Our window well covers are made out of polycarbonate while the other stores make them out of acrylic plastic. Why is this important? Because acrylic plastic is easily broken. They use this material because it’s extremely inexpensive. They sacrifice quality for quantity. While polycarbonate is strong and durable. It also looks and feels just like glass! Giving it that sleek modern look. Not all window wells are the same measurements. The Window Well Experts take pride in custom making their products to fit the customers window wells to their exact measurements. Unfortunately, the big box stores only have a couple different sizes for you. Do your kids or pets ever play near your window well? If your child or pet is over 15 pounds, they would easily bend a window well cover from a big box store. 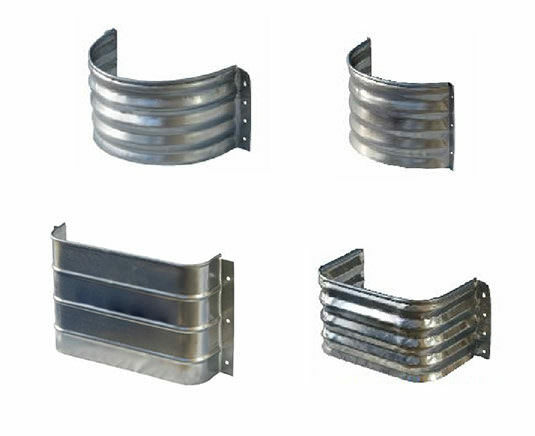 The Window Well Experts window well covers hold up to 400 pounds! You don’t have to worry about them bending or breaking if someone steps on it. Ever see those ugly blue or yellow tinted window well covers on the side of people’s houses? They are an extreme eye sore. If curb appeal is something you care about, you’ll want to get a crystal-clear window well cover that is UV-treated to prevent yellowing here. The Window Well Experts window well covers actually withstand a sledge hammer! While the big box stores break under a little bit of pressure. Wouldn’t you rather have a lifetime warranty? Window Well Experts give you that peace of mind knowing that you have a warranty forever! With big box stores, most are limited to about 4 years. As you see from above, there is really no comparison! Big box stores want to make a lot of window wells and window well covers but greatly suffer with the quality of their product. Spending a little more money now will save you from wasting money later having to buy multiple window wells from the other stores. Get the perfect window well or window well cover shipped right to your door from the Window Well Experts themselves. You won’t be disappointed!